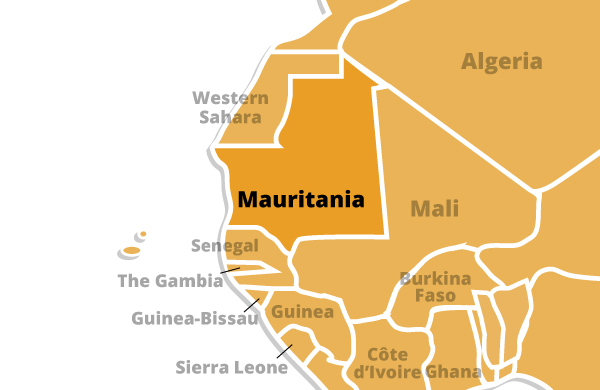 Mauritania's economy is dominated by natural resources and agriculture. Half the population still depends on agriculture and livestock for a livelihood, even though many of the nomads and subsistence farmers were forced into the cities by recurrent droughts in the 1970s and 1980s. Mauritania's extensive mineral resources include iron ore, gold, copper, gypsum, and phosphate rock and exploration is ongoing for uranium, crude oil, and natural gas. In the desert valleys of the countryside, or badiya, people live in cotton tents. These are light-colored on the outside, so as not to absorb the sunlight. They are draped with brightly colored fabrics inside. The ground inside the tent is covered with large woven mats known as hasiras. In the southern regions, homes are built of cement. They are rectangular, with flat roofs and small windows. City homes are furnished with carpets, mattresses, and floor pillows.